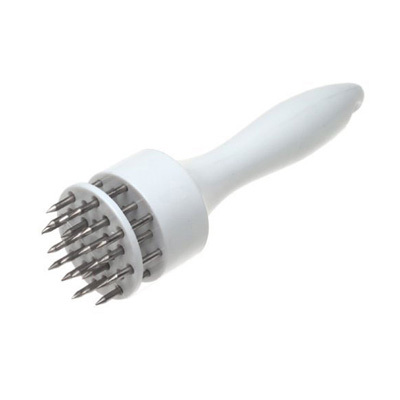 Professional Hand Held Meat Tenderizer. Heavy duty spring loaded mechanism. Stainless steel prongs break down tough meat fibers. Easy to clean, dishwasher safe.